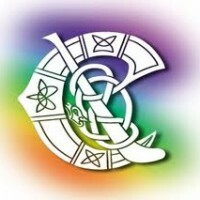 The Monageer Boolavogue U18 camogie semi final due to be played tomorrow Sat 26th Oct in St. Patrick’s park has been cancelled. The team will now be playing in the final. Details of the U18 final will be posted as soon as they are available. The AGM of 2013 will take place in the Clubhouse at 8pm on Friday November 29th. 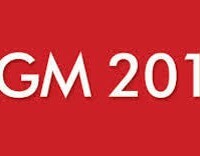 The Camogie club Annual General Meeting will take place on Friday the 6th of December at 8pm in the Clubhouse. The Monageer Boolavogue U18 camogie team will be playing in their semi final on Saturday 26th October at 2pm in St. Patrick’s Park, Enniscorthy against Bannow Ballymitty. The club offers best wishes to all the players. All support would be greatly appreciated on Saturday. Our Winter Hurling Skills Indoor Training program for all underage from U8s to Minor will start on November 6th in Buffers Alley Community Arena. The under 8, U10 & U12 will train for three weeks on the following dates. The 6th Nov, 20th Nov & the 4th Dec. The U8, U10 & U12 will train on these dates between 6.30pm and 7.30pm. The U14, U16 & U18 will train for six weeks every Wednesday evening from 7.30pm till 9pm approx starting on the 6th of Nov. In order to defray the costs their will be a €2 charge per night or the following may apply. 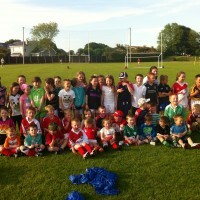 For U8, U10 & U12 €2 per night or €5 for all three sessions. For U14, U16 & U18 €2 per night or €10 for all six sessions. Any queries for U8, U10 & U12 please contact Johnathan Dunne. The Coiste na nOg AGM will take place on Thursday the 21st of November at 8pm in the Clubhouse. (e) Election of Officers and Members of the Coiste na nÓg Committee. On probably the wettest morning of the year the minor hurlers lost out to the Duffry by 2-11 to 0-04. After making a bad start the lads responded well with some decent hurling at times but amid torrential downpours our lads found it difficult to get the scores needed to claw back the Duffry’s commanding lead. The half time score was 1-09 to 0-04. The Duffry found it difiicult to score in the second half and we didnt score at all which mean the the Duffry ran out comfortable and deserving winners on the above scoreline. Team: Adam Dunne, Jamie O Brien, Padraig McCarthy, Ryan Breen, Graham O Reilly, Ben Doyle, James Walshe, Garry Ennett, Robbie Donnelly, Camen O Brien, Conor Doyle, Padraig Flynn, Mark Gahan. Subs: Peter Breen, Cathal Walsh, Shane Gahan, Cian Allen, Diarmaid Fenlon, William Murphy. The intermediate hurlers lost out in the county final by 5 points on Saturday to remain in Intermediate ‘a’ hurling for 2014. After making a decent start with a well worked goal finished by Bertie Gahan, along with points from Gahan, Peter Mernagh and Niall O Loughlin we went in at half time 1-03 to 0-07 behind despite playing against a strong wind. Strong in defence in particular were Graham O Reilly and Paddy Breen, with Bob Jacob excelling for the Shamrocks. There was a confident mood at half time when we considered the wind that was behind us in the second half, but we never hurled well enough in the second period to make the necessary come back. We had some late chances with two shots saved onto the crossbar and another effort by Niall O Loughlin which went just over the bar, but although we had those chances our second half performance didn’t really strike of a team deserving to win the final with the final score being Shamrocks 0-15 to Monageer Boolavogue 1-07. All roads lead to next year now with 2013 definately being a step in the right direction and a good foundation on which to build on. On the 5th of October 1980 Monageer Boolavogue defeated Glynn Barntown in the Intermediate Hurling final, to become a senior club for the first time. On the 33rd anniversary of this great win, the Intermediate ‘A’ hurlers face the Shamrocks in the county final for a place in Intermediate hurling 2014. Our manager this year Jimmy Gahan was a key player on that 1980 team. The match takes place on Saturday at 5pm in Wexford Park. We have already played the Shamrocks this year and lost by two points. We have played the Shamrocks four times in the last four years in championship hurling with the current score being two wins each so todays match will see one team take the lead in this stat but more importantly will see the winners moving up a grade for next year.